Shoreline Beverages is an innovative beverage company dedicated to building brands in the non-alcoholic beverage market. 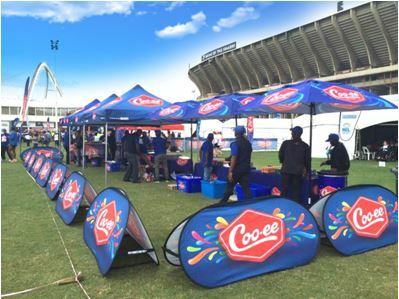 The company specialises in a variety of soft drinks servicing the people of South Africa and neighbouring countries. Shoreline Beverages is a 100% South African owned, BEE compliant company that consists of top management professionals knowledgeable in all aspects of the beverage industry. Shoreline Beverages has now partnered together with Quality Beverages to form a new innovative company named SoftBev. SoftBev'ssuccess is built on values such as quality, excellence, independence and diversity and our business is built on the principles of excellence in production, marketing and distribution. At Shoreline Beverages, we take pride in our commitment to providing the consumer with a great tasting, high quality and affordable product. Superior Quality is the cornerstone of the company's activities, and is not compromised. Consumers can always trust the superior quality and taste of the products we produce and have their families consume them with full confidence. Innovation is something we pride ourselves in. Shoreline Beverages believes in inviting the consumer towards innovative choices as well as adapting to consumer trends and demands, ultimately providing them a solution of their choice; be it packaging or flavour. Our customers are important to us. We are committed to establishing and maintaining profitable partnerships with our customers by providing high quality products, on-time delivery, superior service, and effective promotional support for our brands. Shoreline beverages has a continuous quest for excellence and growth. We are determined to be the best, both as a company and as individuals. We shall continually strive to seek improvement, unparalleled excellence in our products and new opportunities for business growth. Coo-eeSoftdrinks: Shoreline Beverages has rejuvenated the famous Coo-ee brand bringing its past glory back to prominence. Shoreline manufactures this range in an exciting range of flavours and is readily available at all major retailers, independent wholesalers, retail outlets, forecourts, takeaways and schools. Coo-eeLite: The Coo-eeLite range is the answer to a growing consumer consciousness towards a healthier living. One can enjoy the same refreshing taste of your Coo-ee favourites with zero sugar added. Coo-eeLite is presented to you in Coo-ee Apple and Iron Brew. Coo-ee Island Fusion: Bursting with flavour, the exotic taste of the islands can be found in every bottle of Coo-ee Island Fusion. The range is available in the refreshing flavours of Pomegranate, Blueberry and Cranberry, and Passion Fruit and lemonade. Reboost: Reboost is an innovative blend of pure energy & power that celebrates your drinking experience. Original energy drink flavour, packed with B Vitamins & enhanced with a powerful mix of Guarana, Taurine & Caffeine that makes for a shattering taste experience! Shoreline Beverages is committed to the protection of our environment. We have established systems to reduce water consumption and wastage. Most of the raw materials used are recyclable. These include shrink-wraps, pallet wraps, cardboard, closures, layer boards, plastics containers and PET bottles. Coo-ee is proudly doing its bit to promote ecologically friendly business practices. 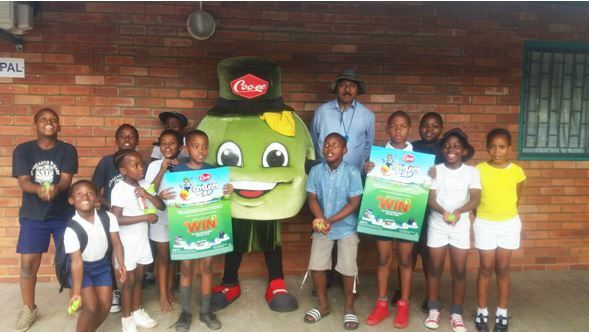 The Coo-ee Cares initiative is a community based programme whose aim is to give back to our communities. We are involved in a wide range of projects that facilitate the participation in topics and issues that are of concern to the community. We support organisations who contribute to the upliftment of all people by providing sponsorships, bursaries and donations to facilitate holistic development and wellbeing. Our mission is to be the leading innovator in the non-alcoholic beverage category. that satisfy and delight our consumer base by being accessible, affordable & desirable. Our vision is to be world class: for our customers, consumers, employees and suppliers.